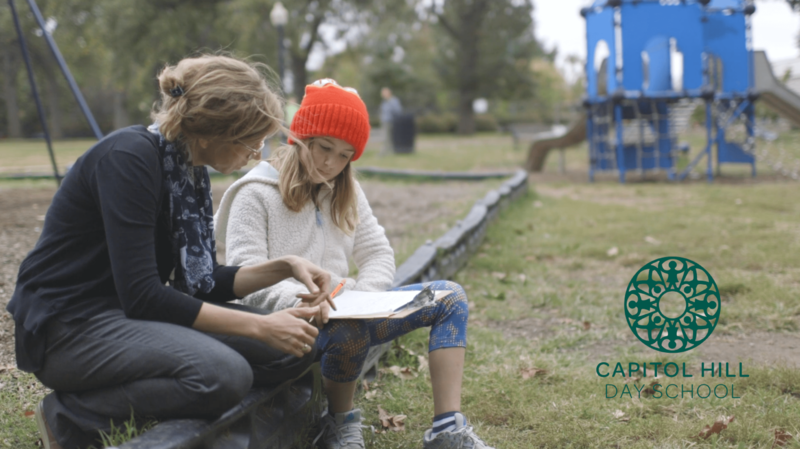 Thank you for your interest in Capitol Hill Day School! The deadline to submit an application for the 2019-2020 school year has now passed. However, we are still accepting applications to some grades. Please contact Director of Admissions Kate Gallery if you are interested in submitting a late application. The application process begins each fall. We invite prospective parents to sign up online to visit us for a tour or Open House. Applications to all grades PreK through 8th are accepted online from late September through mid-January, and admissions decisions are communicated to applicant families in early March. Throughout the admissions process, we meet all applicants PreK – 8th grade in person, with small group playdates scheduled for our youngest applicants, and classroom visits scheduled for our elementary and middle school students. We learn more about each applicant by collecting a teacher recommendation from the applicant’s current teacher, as well as testing. Transcripts and additional information are also collected for applicants to our elementary classes and middle school. Policy of Non-Discrimination: Capitol Hill Day School does not discriminate on the basis of race, color, sexual orientation, religion, gender, or national or ethnic origin in the administration of its education policies, admissions policies, financial aid program or other school programs. PreKindergarten is a major entry year at Capitol Hill Day School. Each year, we welcome 24 new PreK students. To be eligible, a child should be fully toilet trained and 4 years old by October 1st of their start year. Younger siblings of current Capitol Hill Day School students are given preference for entry into the PreKindergarten year only. In Kindergarten through 8th grade, there are typically 15 to 20 spaces available for new students each year; however, this number fluctuates based on attrition. We anticipate several openings in 5th and 6th grades for fall 2019 as our middle school program grows. If you have questions about availability in a specific grade, please contact us. Capitol Hill Day School is one of several schools in the DC area that uses a system called Ravenna for online applications. Through Ravenna, families can register for tours and other admissions events, submit an application, track the status of its completion, and view the decision notification when it is released. To begin, please go to Ravenna to login or create an account. Register for a Small Group Tour, Open House, or Head of School Tour through Ravenna. Schedule your visit here. Submit application online through Ravenna and pay $60 fee. Applications to all grades PreK through 8th are accepted from late September through mid-January. Parent meetings are optional. They are open to parents/guardians of applicants to all grades PreK - 8th. A parent meeting allows you more time to ask questions and share more information about your applicant and family. Applicant families can register for a parent meeting through Ravenna. Submit the required teacher recommendation form to your child’s current teacher(s). Teachers return completed forms directly to the Admissions Office. Schedule the required assessment with an outside provider and ask the tester to submit results to the Admissions Office. See a list of assessment centers. PreK and K applicants should take the WPPSI test. 1st grade applicants should take the WPPSI if they are five years old and the WISC test if they are six years old. 2nd - 5th grade applicants should take the WISC test. PreK, K, and 1st grade applicants will attend a playdate at Capitol Hill Day School on a Saturday in late January or early February 2019. Families can schedule the playdate through Ravenna. 2nd - 8th grade applicants will visit during a school day during January or February. The Admissions Office will contact you to schedule a visit. Submit the form completed by your child to the Admissions Office. Request your child’s transcripts from the current school and ask the school to send them directly to the Admissions Office. Families may submit a financial aid application at www.mytads.com. Details available at www.chds.org/admissions/tuition.